Did you graduate ADHS with Rossann Howard-Fox (around 1978). Kylie is her daughter back from New Brunswick to share her tunes. East Coast singer songwriter Kylie Fox offers something that is bold and charismatic. 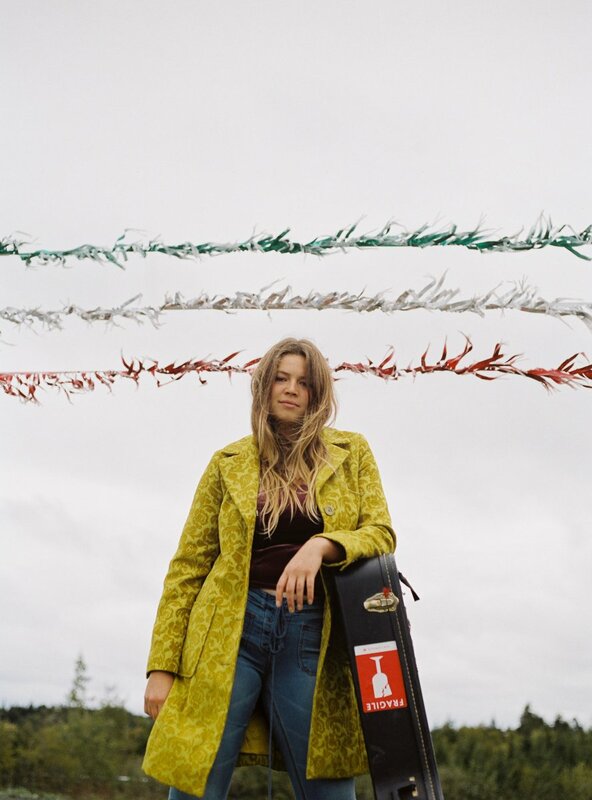 She pairs a folked-down version of a classically trained voice with tongue-and-cheek lyrics that are explicitly sincere and deeply, a bit darkly, comical. An engaging element of Kylie’s live shows is her story telling and endearing introductions to her songs which makes her an incredibly entertaining and funny act. Her tales have deep Canadiana roots with poetic influences like Canadian singer songwriters Joni Mitchell and Alanis Morissette. Since the release of her first project "BalconyEP"(2017), she has been charting on campus radio Earshot! charts, charting 6th on the National Earshot! Twenty Folk and Roots Charts, and has received airplay on CBC radio, Country 94.1(Saint John) and Hot Country 103.5 (Halifax). Audiences can expect a fun blend of catchy, tongue and cheek songs and heartfelt ballads relating travels, millennial-hood and addiction. Kylie is supported by Roots and Soul Music Promotions.